View In Film Branding on Outdoor Advertising Signs for Automobiles – Global Advertisers.pptx and other presentations by sanjeevgupta. 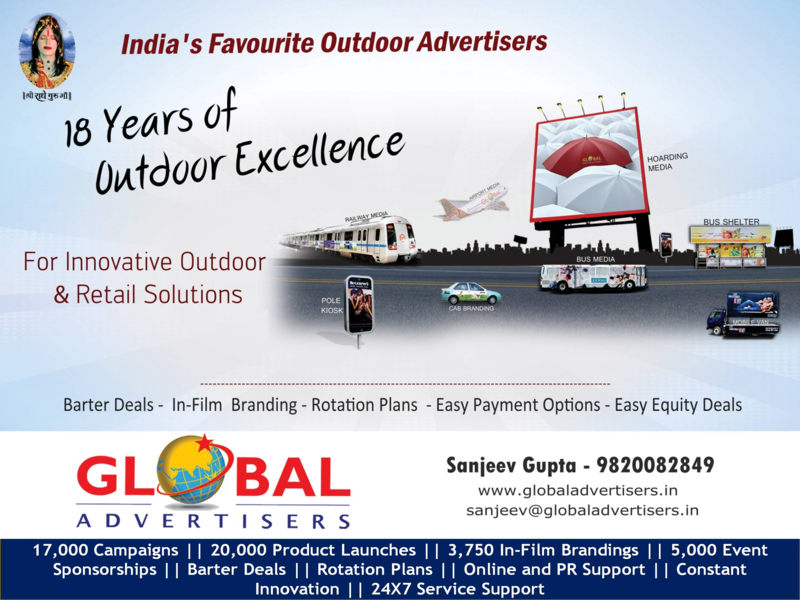 Global Advertisers Global Advertisers, Bollywood ‘s favourite outdoor media solutions company, understands and appreciates the complex investment of time, energy and money that film-making entails. There is no reason why should have to spend so much on advertising too. Work out a deal with Global Advertisers who will open up in-film branding opportunities for you which will help you generate extra revenue, cut costs and also give you access to the best hoardings and other media opportunities in Mumbai - home to Bollywood and big money.